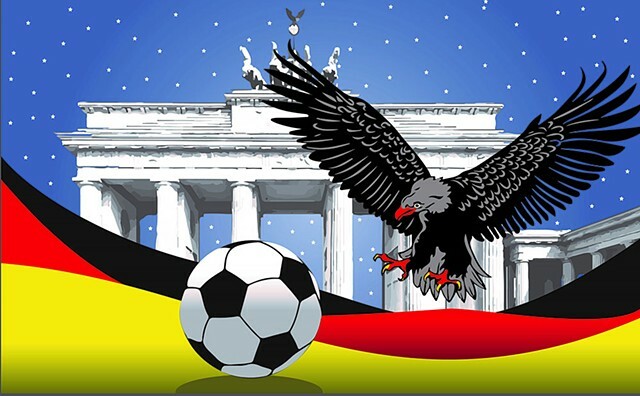 The red-beaked black eagle can be seen on Germany’s national emblem and the black, red and gold bands are the colors of the country’s flag. In the background is the famous Brandenburg gate against a starry sky. The historic gate was built as a symbol of peace and unity.